This weekend's boating and fishing events include "Wings and Water Festival", "Gulf Maritime Festival" and ICAST, to name a few. 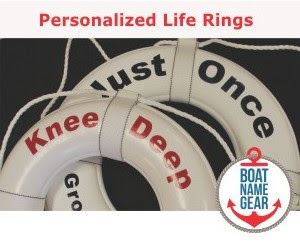 We've looked at this weekend's boating events below; and, as always, you are welcome to jump ahead to the First Boat boat show calendar for a quick look at the lineup of boating and fishing events this weekend and beyond. The Piscataqua Maritime Commission hosts Sail Portsmouth today through Sunday (July 15, 2012), bringing tall ships to the New Hampshire Seacoast. Today is the 2nd day of a fishing industry show called ICAST, which is taking place in Orlando this year. According to the event's website, the International Convention of Allied Sportfishing Trades (ICAST) is the world’s largest sportfishing trade show annually hosting 7,000 members of the sportfishing industry representing 63 countries. Stone Harbor, New Jersey, is home to the 30th anniversary of the Wings ‘n Water Festival, which to our dismay is more about birds and fish than it is about boats and airplanes. Still, there are plenty of nautical activities for the whole family at this event which runs today through Sunday. 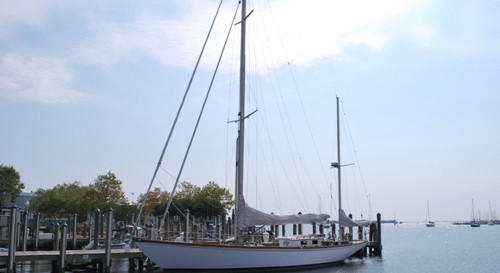 Another nautical event that focuses more on life under the sea is the Gulf Maritime Festival, which showcases the local sponge industry and Greek culture in Tarpon Springs, FL. The Festival is Saturday, July 14, 2012, at the Tarpon Springs Sponge Docks. One last event, and finally it's actually a boat show (albeit a small one), in the nautical Northeast... The Tanger of Westbrook Boat Show is going on Friday through Sunday at Tanger Outlets in Westbrook CT. 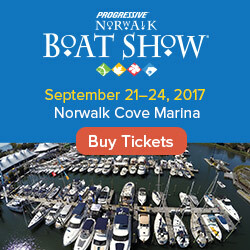 There are a few more shows, as well as links to the official websites of all these events and more on the First Boat boat show calendar. Pica: I Can’t See – Now What?